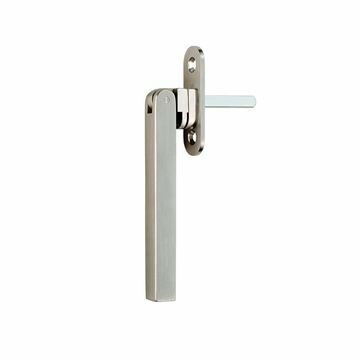 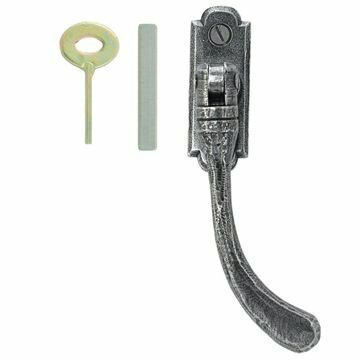 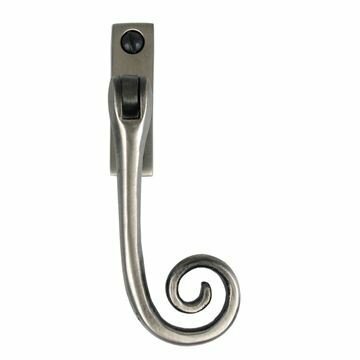 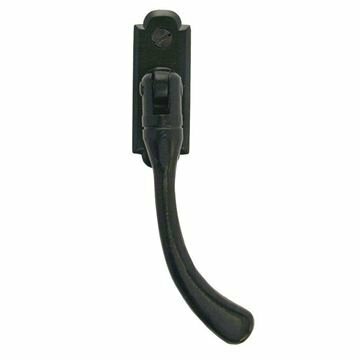 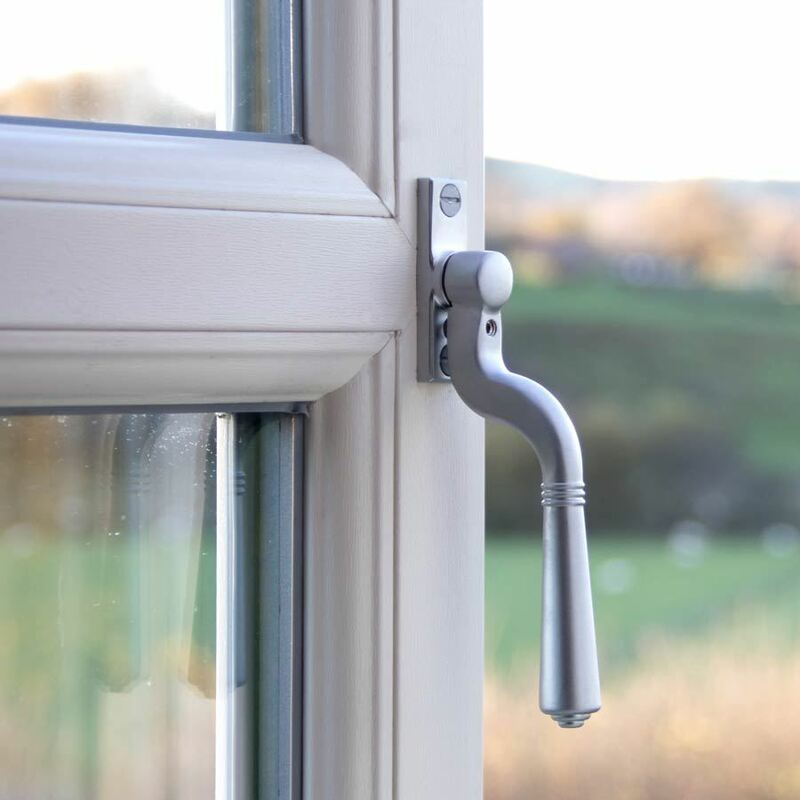 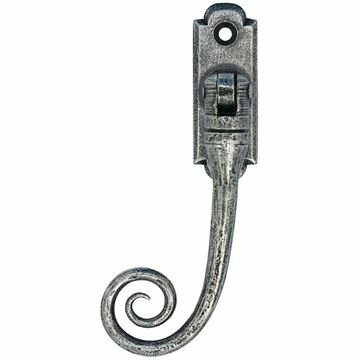 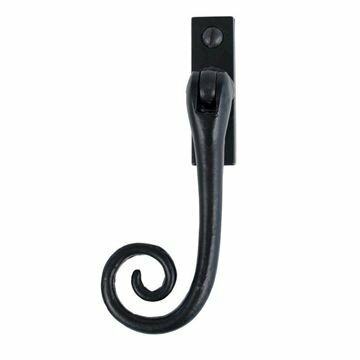 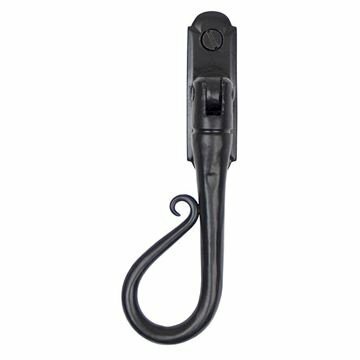 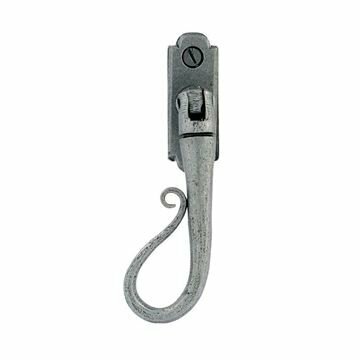 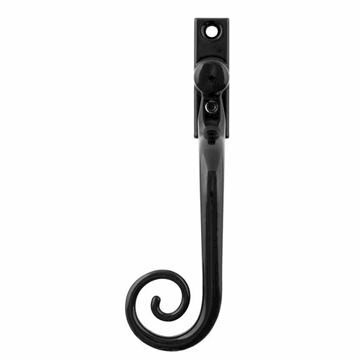 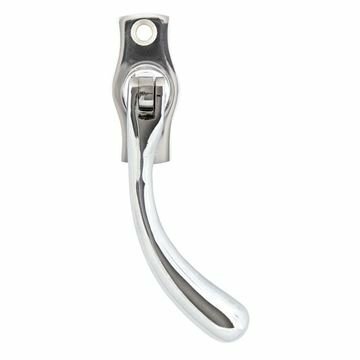 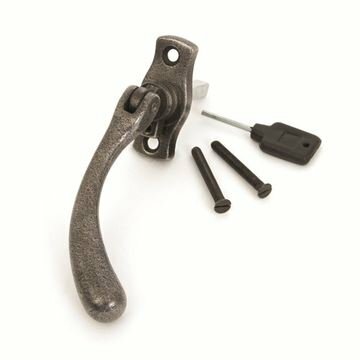 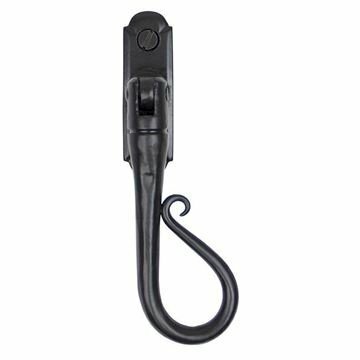 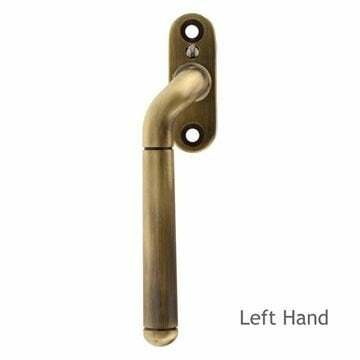 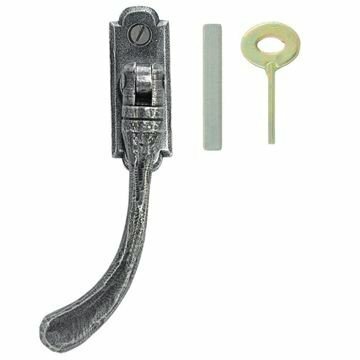 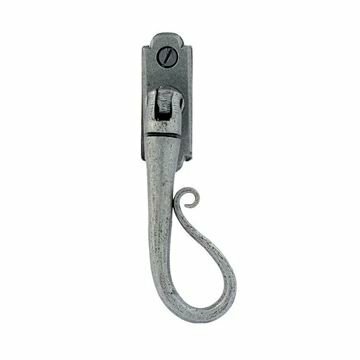 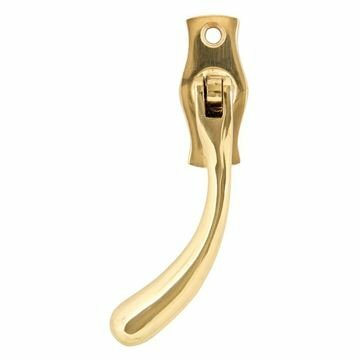 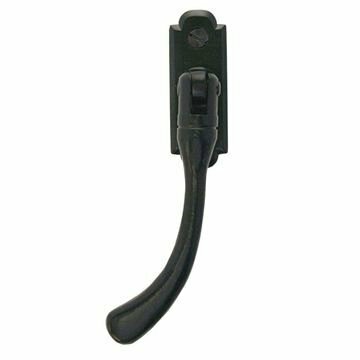 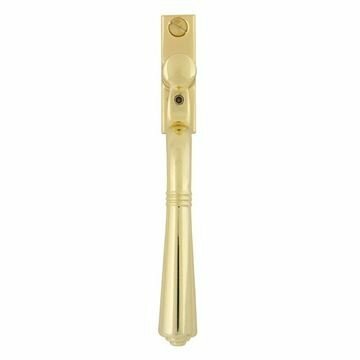 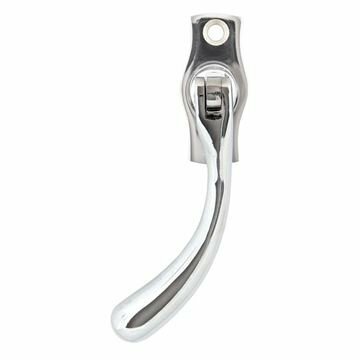 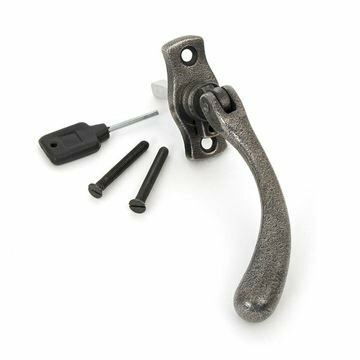 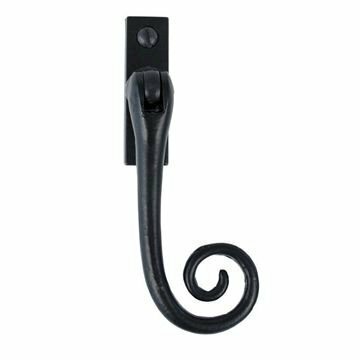 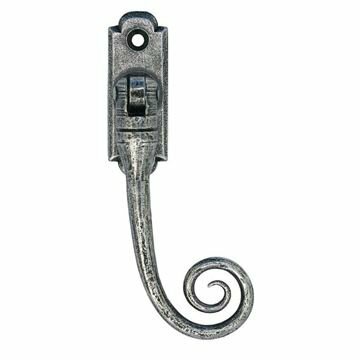 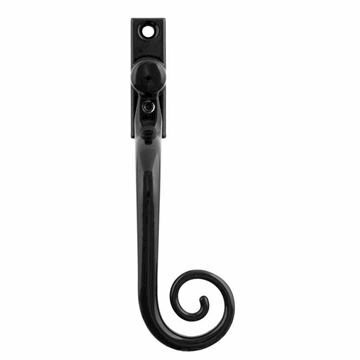 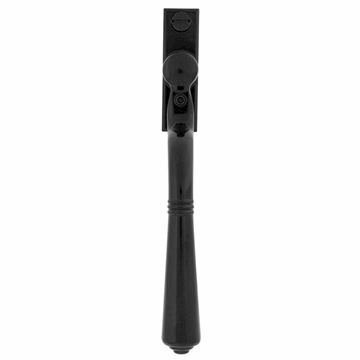 Espagnolette window handles are handles with a square spindle underneath the handle lever which connects to a locking mechanism rebated inside the widow sash. 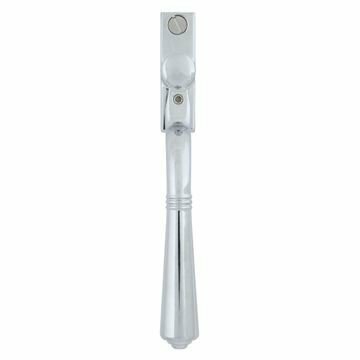 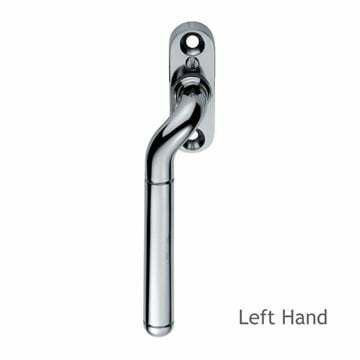 Cranked locking espag handle in polished chrome. 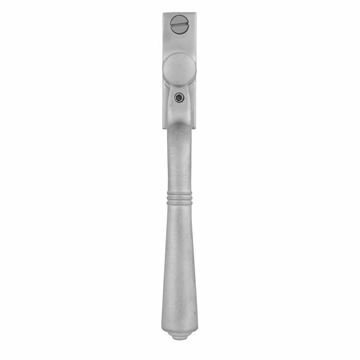 Cranked locking espag handle in satin chrome. 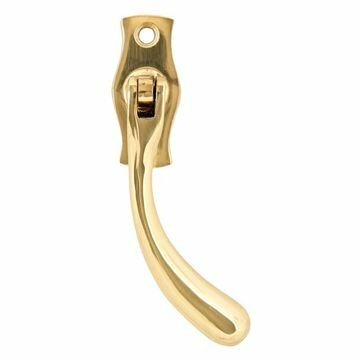 Cranked locking espag handle in Florentine bronze.